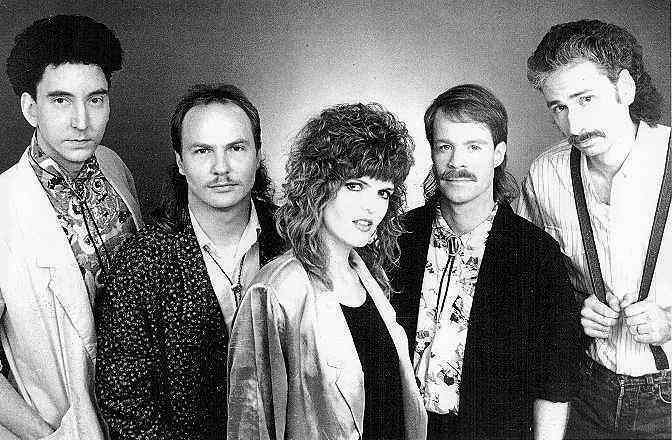 Suburbia was a short-lived group, existing and performing around the Seattle and Eastern Washington areas between 1987 and 1988. The band's 'claim to fame' was when playing Pier 70 on a Sunday night, Robert Plant dropped in and joined us on stage doing the tail end of his hit "Tall Cool One". It was exciting for all who were present that night. Suburbia was a really good band put together at a bad time. For me, it was a another chance to work with two of my best friends and favorite musicians, Dave Reeves and Kregg Mattson. Nate Burch was a really solid player with great tone. Donna Welling was an excellent, soulful singer. The full time club market was fading in the late 80's and we had a hard time filling our schedule. Musicians who saw the band really liked us but the booking agents and club owners wanted more lights, more subwoofers and a flashier stage show. We were just a good solid musical band. we had a few good gigs but not enough to keep the band together. We broke up after 18 months." Nate pursued a degree in electrical engineering. Joe is still out there playing bass. Donna is working in a duo quite a bit in Alaska. Kregg is doing a single act. Dave is a long-haul truck driver. Some of the other Pacific Northwest music groups represented in this band include: Blue Mountain Eagle, Clear Logic, The Sunn, Carnival, Full Circle, and many other NW bands.